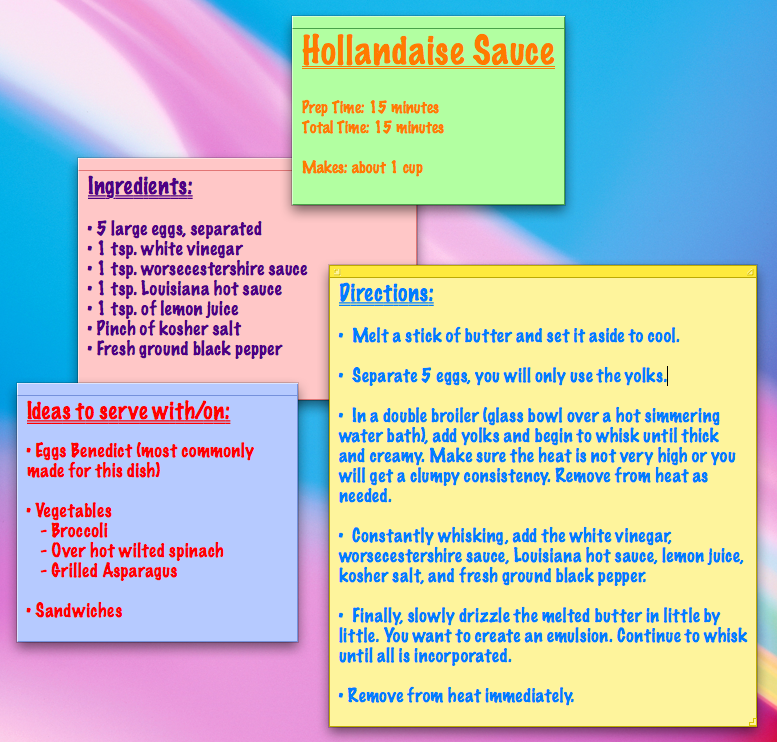 For the first official recipe I decided that I had to incorporate a mother sauce, in this case, hollandaise. A good hollandaise sauce is made with good technique. If your technique is wrong, the sauce will not come out right. Some hollandaise recipes use powdered pepper (like cayenne), while others (like mine) use a good Louisiana hot sauce. However, like any good recipe, there are many different variations, but they can all still be very delicious! Typically, hollandaise is seen most often with Eggs Benedict, but I love to eat it with vegetables and leafy greens. Orignially posted on 2/7/2012 by Sous Me Alchemy.